"Hello! 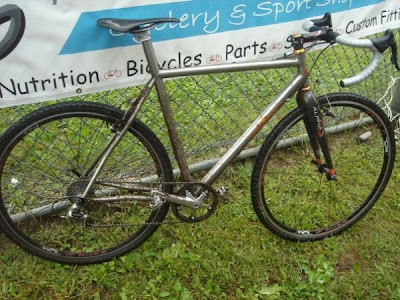 Wanted to submit my cyclocross bike to your gallery. Handmade by my good friend Joshua Thayer in the sketchiest part of San Francisco: Hunters Point! 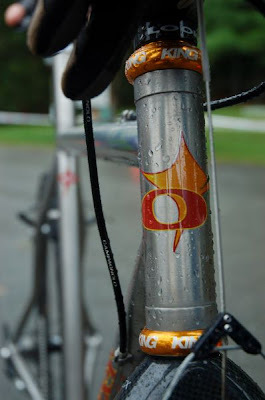 He works under the name Miles Cycles but has never had any proper decals on his bikes. Its just a long time hobby. 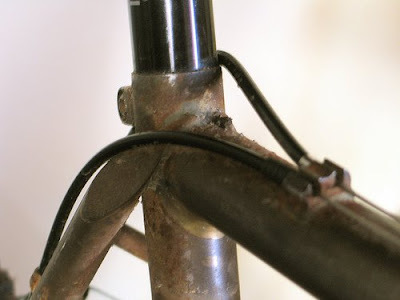 Paul Neo Retro brakes front, Touring canti rear. 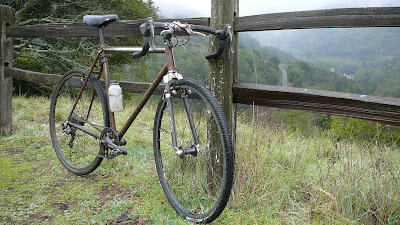 If you saw on Nathan's Stigmata he was running the KCNC skewers which weigh a scant 45 grams for the pair (about 80 grams lighter than Dura-Ace for the WW's among us). Plus, if you're in the market for a new pair of top of the line skewers, Salsa Ti's will set you back $70, or the USE SpinStix for $75 both without shipping. 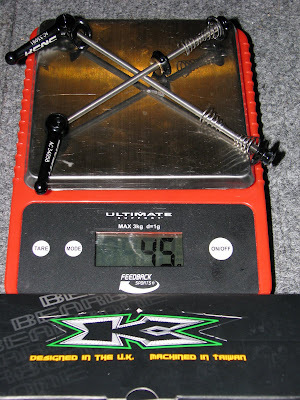 I still have a few sets of the KCNC skewers for sale they are $65 shipped to the Continental USA. 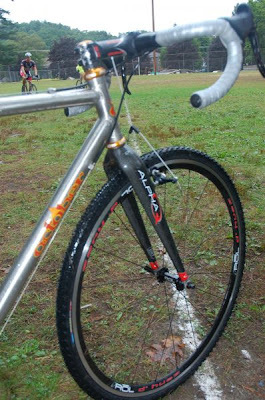 * They are titanium axles and aluminum levers. *International orders will pay a few more dollars for shipping depending on the country. 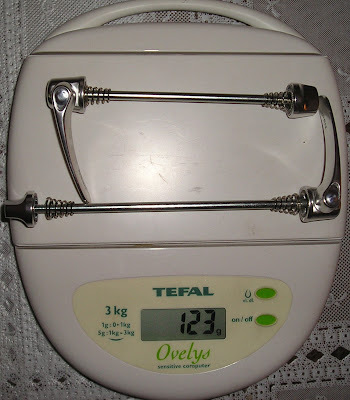 It weighs less than 18 pounds but I can't remember exactly how much. This bike really rocks! It has just the right balance of stiffness and flexibility to make even the toughest courses comfortable. It's very agile yet stable in tricky situations. I was fortunate enough that Andrew let me have a lot input on the bike. He humored me through the process.